Mehmet and I had a great class at the Maryland Wool Festival...18 students!!!!! Everyone had a great time and produce fantastic art work. I am especially proud of our 76 year old student.....you can really tell she is a painter! The yurt was a big hit again, unfortunately we couldnt be near our yurt as our booth was stationed ...down the road. People who really wanted to find us made the journey. The weather turned unusually warm and wool was a hard sell but we finnaly found some takers. Anyone interested in more of our work can find us at our new location in Lenox, Massachusetts. 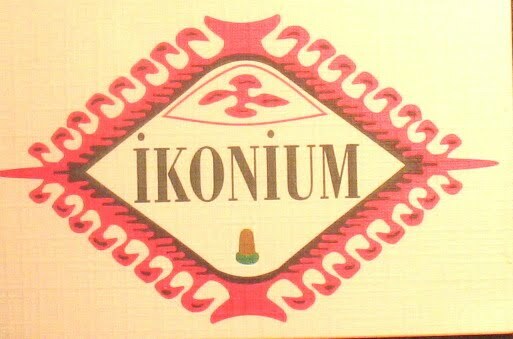 Ikonium is now located at 69 Church Street in the historic district. Once again, *cough* the new studio is lovely. Really like the different levels and height. thanks......one would think I would be skinnier with all this moving..... and the built in work out of different levels in the gallery....must be Mehmet's cooking!!! !